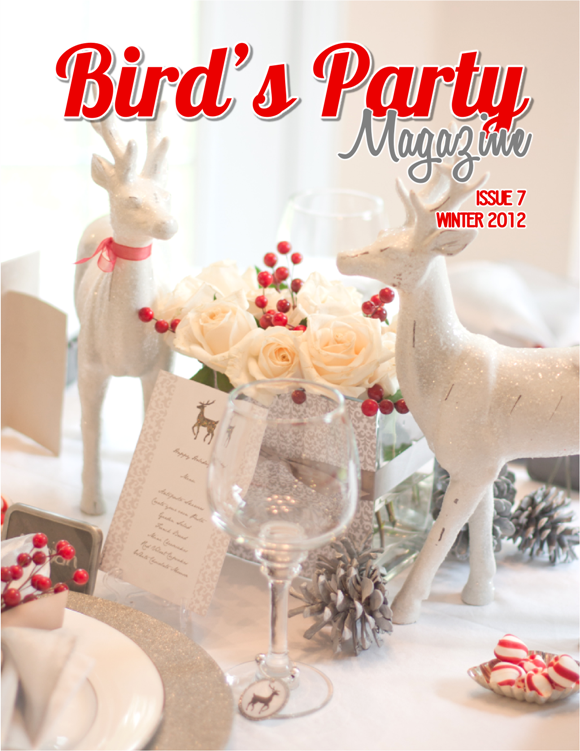 I was thrilled to be a part of the winter issue of Bird’s Party Magazine. This magazine is always full of creative ideas and inspiration from incredibly talented party planners, stylist and design experts. So imagine my surprise when I saw MY party featured on the cover of the magazine! (so.flippin’.excited.) You can see my entire feature on pages 9-12. Make sure you head over to Bird’s Party Magazine to see all of the beautiful holiday parties, crafts and recipes to help you get inspired for the Holiday season!